Today we are announcing two new features for Amazon Aurora, AWS Lambda Integration and Direct Data Load into Aurora Database Tables from Amazon S3. 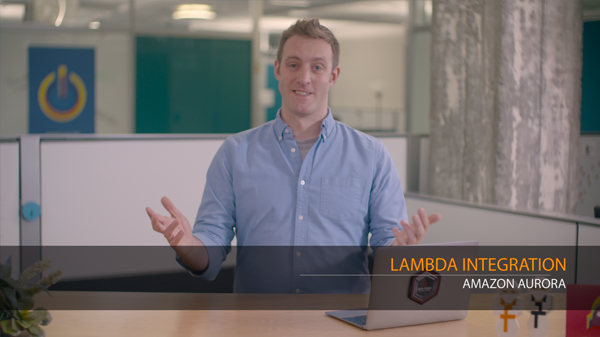 AWS Lambda lets you run code without provisioning or managing servers or worrying about scalability. Now you can invoke Lambda functions directly from within an Aurora database via stored procedures or user-defined functions. Lambda integration allows you to extend the capabilities of the database and invoke external applications to act upon data changes. For example, you can create a Lambda function that sends emails to customers whenever their address in the database is updated. Amazon S3 is a highly-durable and cost effective storage that allows many different data ingestion methods to migrate your data to AWS. Starting today you can load data stored in an S3 bucket directly into an Aurora database table using the LOAD DATA FROM S3 or LOAD XML FROM S3 commands. You can learn more about this feature in the Amazon Aurora documentation. Read more about these new features in the AWS Blog. To learn more about Amazon Aurora please visit the Aurora Website.